Refactoring is moving in small steps, with each step verified by unit tests. As I demonstrated last time, these steps are much smaller than most people are used to. Let’s continue the same example to learn some new things about refactoring. Reading is not as good as doing. I learned from the folks at Big Nerd Ranch that our brains make important connections when we type code. Download my code and walk through the refactoring steps yourself. 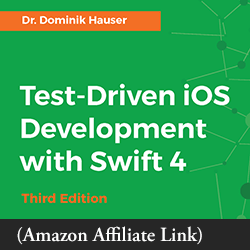 When you refactor, do you have unit tests covering you? …If not, why not? …If so, how do you know? 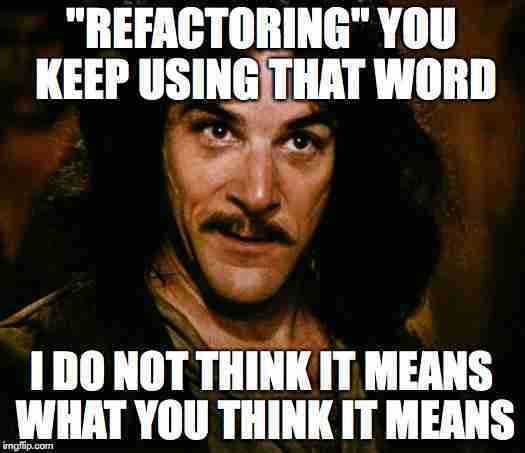 But that’s not refactoring. That’s rewriting. As Jeff Atwood explains, code tells you how, comments tell you why. A well-placed code comment is a level above the code itself, explaining why something is written the way it is. But! We can express most comments as code, using well-named identifiers. The Refactoring book calls this Introduce Explaining Variable. 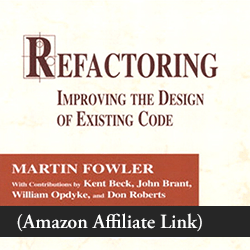 Martin Fowler has since renamed that refactoring to Extract Variable to help folks find it in their IDEs. It’s time for a quick exercise in code smells! How many code smells do you see below?